Greetings! I hope this issue of Holsten Galleries News finds you well and enjoying the changing season. I am excited to share some really special work with you this month. As always, please feel free to contact me with any comments or questions you may have. Enjoy! "The main thing is to be moved, to love, to hope, to tremble, to live." One of the newest series that Lino has been working on over the past year or so is the "Florencia" series. These beautiful pieces may be the most painterly work that Lino has ever created. The surfaces appear to be painted with large brush strokes in rich and dramatic palettes of color. 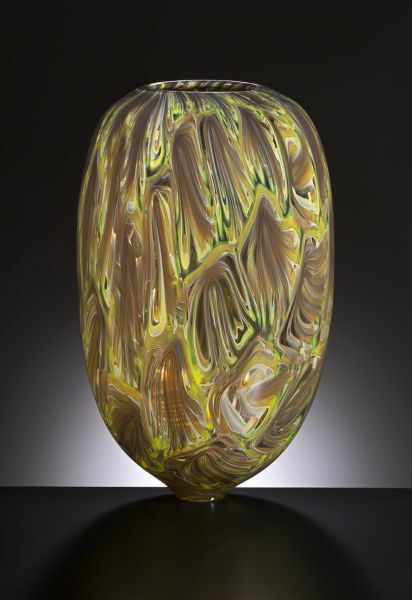 Featured here are two wonderful examples of this series from Lino’s showroom in Seattle. The form of the gold one is reminiscent of a couple of previous series. The purple one though is a form I have never seen Lino make before. 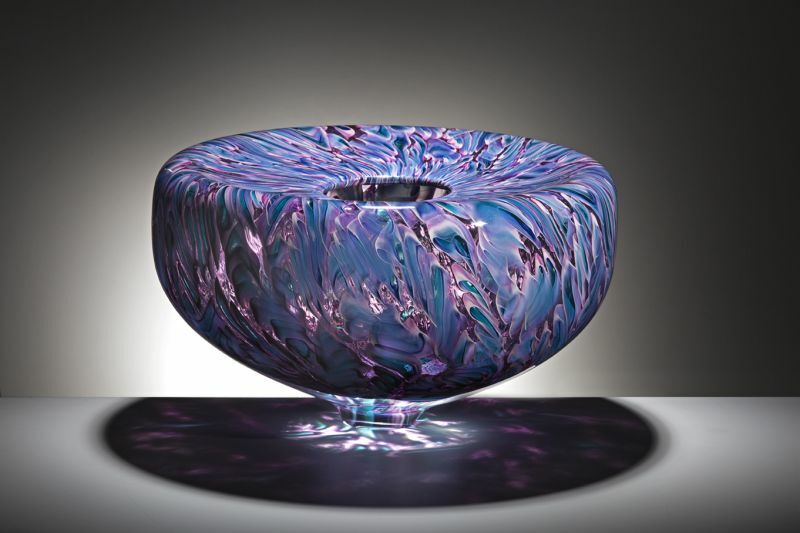 What a gorgeous piece by Seattle based glass artist Martin Blank. 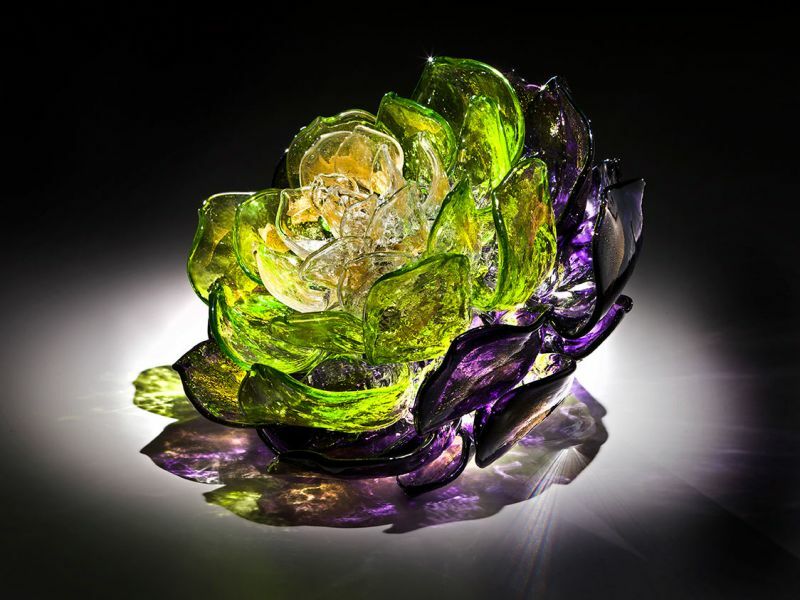 The floral form itself would be enough to warrant this statement but the colors here, transitioning from purple to red to clear with gold leaf, make this one of the most exquisite works in glass I have seen in quite some time. 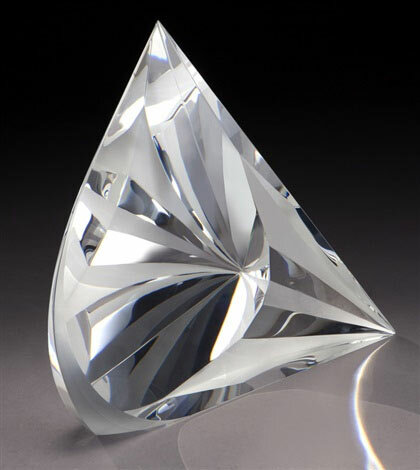 The optics in this clear crystal sculpture by Christopher Ries are amazing. The internal images change dramatically depending upon the point of view of the beholder. 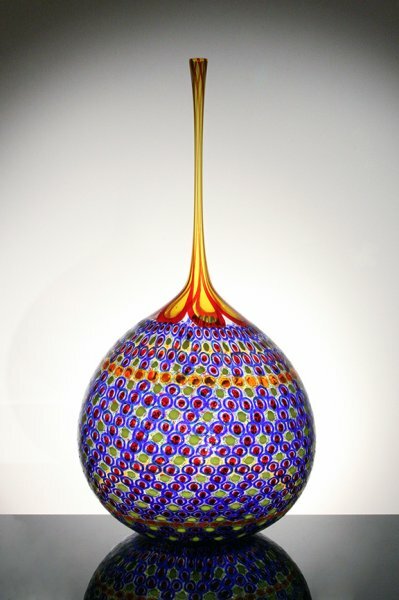 This piece requires very little light and is perfect for a space that lacks a spotlight. This new piece by Preston Singletary is both elegant and playful. 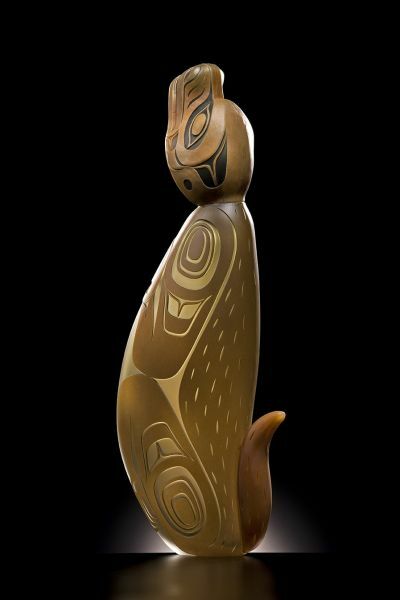 The two subtle colors work very well together and the images, all derived from Preston’s Tlingit heritage, are of great interest. Although the form here will be familiar to those of you who know the work of Stephen Powell, in many ways this piece is atypical. This is true mainly because the murini (small "tiles" of glass) are both smaller and more symmetrically arranged than in most of Powell’s work. So much so that the effect here is almost pointillistic. The colors, as in all of Stephen’s works, are deep, rich and dramatic. I hope you have enjoyed this edition of Holsten Galleries News. Here’s wishing you a pleasant autumn and good health. I look forward to staying in touch.